The home-improvement retailer agrees to put three dissident directors on the company's board, including a big investor and David Batchelder, co-founder of the now-defunct, trailblazing activist fund Relational Investors. Lowe's Cos. (LOW - Get Report) on Friday, Jan. 19, reached a blockbuster settlement with newbie activist D.E. Shaw in a deal that puts three new directors on the home-improvement giant's board, including David Batchelder, an ex-Home Depot Inc. board member and co-founder of the trailblazing fund activist fund Relational Investors. Lowe's shares spiked 1.4% in early trading Friday on the news, which followed speculation last week that D.E. Shaw, a multi-strategy hedge fund and buyout shop with $48 billion in assets, was planning to agitate for change at the retail home-improvement company. Shares jumped 5% that day. Last year, D.E. Shaw hired former Elliott Management portfolio manager Quentin Koffey, a veteran of insurgency campaigns including one at Hess Corp., to lead its activist investing operation. In the past, D.E. Shaw rarely has launched director election contests and when it has done so it has been at much smaller market capitalization companies. As a result, its quick settlement with Lowe's, a company with a market cap of $84 billion, represented a major development for the expanding activist fund, which owns about $1 billion worth of shares in the company. The settlement agreement came only two weeks before a Feb. 2 deadline for nominating dissident director candidates for the retailer's 2018 annual meeting, expected in June, which suggests a boardroom battle could have been brewing. D.E. 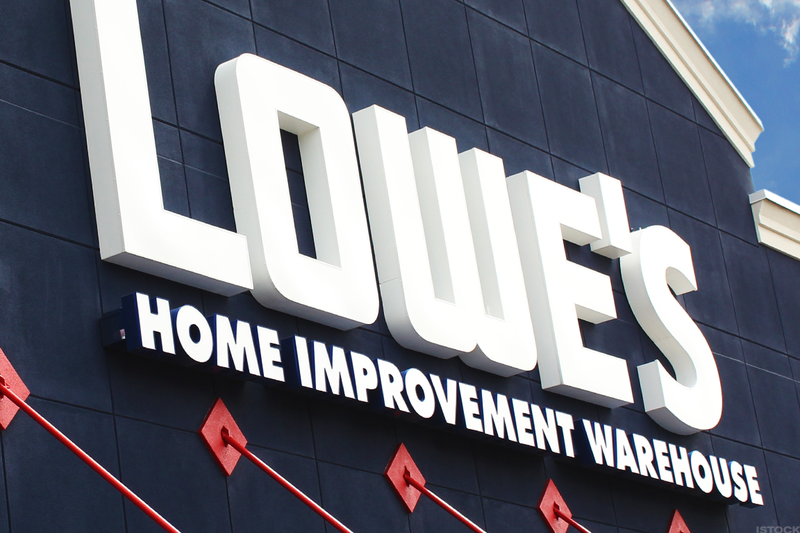 Shaw and its director candidates are likely seeking to improve operating margins and revenue per-store at Lowe's, which has underperformed its closest peer, Home Depot Inc. (HD - Get Report) , when it comes to revenue, margins and share price. Gordon Haskett analysts in a Jan. 12 research report suggested that anyone looking to push an activism campaign at Lowe's would certainly frame it as an opportunity to close a margin gap with Home Depot and tap into a reserve of earnings power. One indication that D.E. Shaw will seek to press Lowe's to emulate Home Depot is that one of the directors it installed on the board is Batchelder, ex co-founder of Relational Investors, who had previously served on the Home Depot board from 2007 to 2011, during his time at activist fund Relational. During Batchelder's tenure at Home Depot, the large retailer's stock price improved significantly. Batchelder received a seat on Home Depot's board in a settlement in 2007, ending a proxy fight launched by Relational Investors. In that campaign, Batchelder and Relational helped drive out then-Home Depot CEO Robert Nardelli as part of a campaign focused on executive compensation issues. As part of the 2007 settlement, a group of Home Depot directors involved in hiring Nardelli agreed to leave in 2008. In addition to Batchelder, Lowe's will add Brian Rogers, chairman of T. Rowe Price Group, a major investor, and its former chief investment officer, as well as Lisa Wardell, CEO of Adtalem Global Education. T. Rowe Price owns a 0.74% stake in Lowe's, according to FactSet. The addition of Rogers is significant not only because T. Rowe Price is a large shareholder but also because the large fund voted all its shares against all the directors of Lowe's during the company's annual meeting in an uncontested election last year even though the major proxy advisory Institutional Shareholder Services didn't recommend a no vote. The large negative vote suggested that T. Rowe Price has significant problems with the oversight of Lowe's and is seeking to make changes. Relational shut down in 2016 when its other co-founder, Ralph Whitworth, died. Many people consider Whitworth to be the godfather of activist style investor.